Chroma-Ticz is a jazz band founded in March 2016. 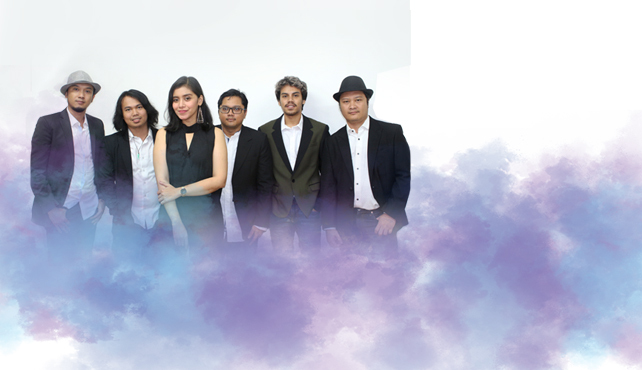 They started their debut at Komunitas Jazz Kemayoran (KJK) as a member and eventually represent KJK on several Jazz events. Chroma-Ticz consists of Sheilla (vocal), Jaga (piano), Rakha (drum), Stanly (guitar) & Lucas (bass). Watch Chroma-Ticz enchanting performance live at Motion Blue Jakarta on August 31st & September 1st, 2018 . Enjoy a free Welcome Drink with every ticket purchased. PURCHASE NOW at www.motionbluejakarta.com or RESERVE at reservation@motionbluejakarta.com . CALL +62-21-29039189 for more info.